If you are a chronic pain sufferer, you may do one of two things. You either look into everything that could help you, or feel like nothing can cure you or help. Perhaps you have found your trusted arsenal of pharmaceuticals, herbals or treatments that you can’t function without. Maybe you change your life or diet dramatically to avoid triggers. Do you have your coping mechanisms to treat the symptoms and just get you through it? Have you visited doctors and specialists, yet you are still searching? As a migraine sufferer, I have cycled through searching or coping and giving up many times. I have looked into ear piercings that claim to help like acupuncture. I’ve gone gluten-free. I’ve had occipital manipulation therapy. I have a friend who tried Botox to end her daily migraines. My migraines have been triggered by hormones, strong emotions…or seemingly nothing at all. I’ve had kaleidoscope vision, nausea, vomiting. I’ve dropped a bowl of soup when my hands and brain stopped communicating, and watched as my handwriting turned illegible. One time, I lost the ability to understand my second language for a couple hours. I had a friend who had to be picked up from the zoo by the sudden onset of a migraine so fierce she was unable to drive due to tunnel vision. When I hear chronic pain, I also immediately think of dear friends with fibromyalgia. The various symptoms and often debilitating fatigue, plus the lack of understanding and awareness make this a difficult condition. You may have thought that since we discuss chiropractic here that I was going to say it was the cure-all. 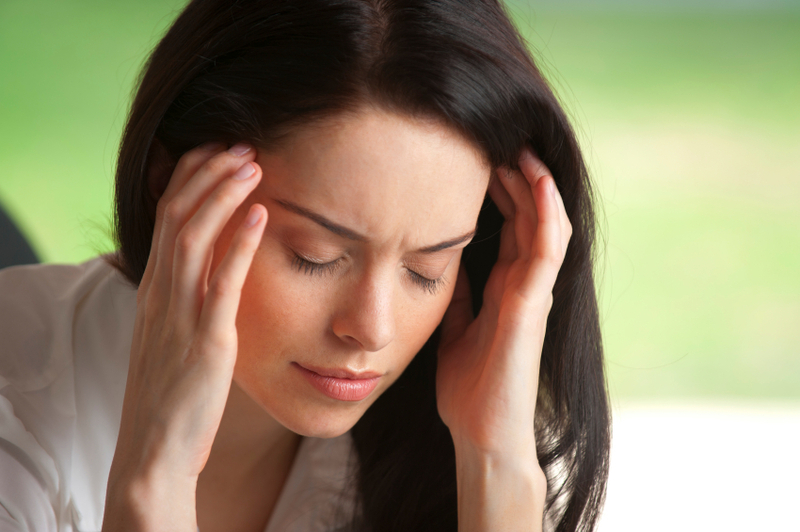 There certainly are studies showing chiropractic’s worth in helping migraine sufferers. Various studies also show that fibromyalgia pain has been reduced with chiropractic. However, at the end of the day, Drs. Ryan and Denise Dopps believe that chiropractic isn’t about pain management. It’s about giving your body its full potential. While they certainly don’t want anyone to be suffering, the goal is to remove any subluxations that prevent the body from communicating well with the brain. This can happen when the vertebrae are out of alignment, putting pressure on the nerves of the brain stem and spinal chord. The brain tries to continual send out messages of health along the spinal chord; instructions for the cells on how to repair and heal. If there is a subluxation, these messages aren’t clear, or aren’t delivered. When the body/brain communication is reopened with chiropractic adjustment, the symptom of pain can certainly and definitely be relieved. The body can innately begin to heal the deeper issues and the potential for health and wellness is improved. Are you ready to improve your health and chronic pain? Call 316-and make an appointment with Dr. Ryan or Dr. Denise at their Wichita office, Dopps Chiropractic NE.